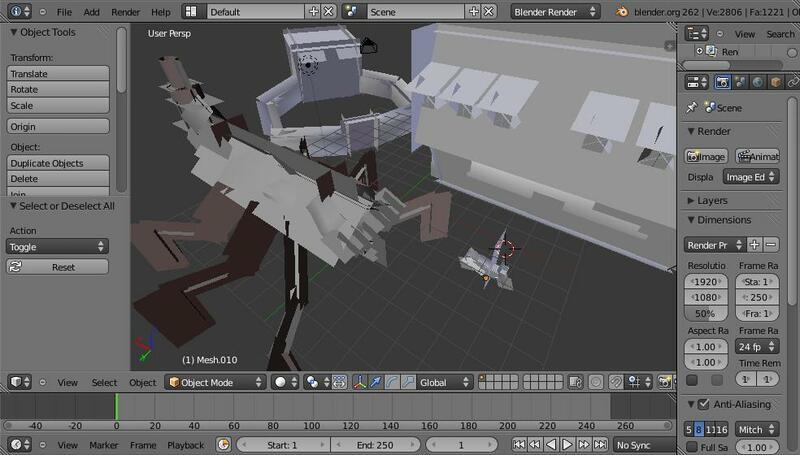 Wolfire made an unfinished prototype using the proprietary Unity engine for the private Humble Bundle Mojam. You can watch thic entertaining, commented timelapse video to find out more. Art assets have been released into the public domain (.zip here), with a few exceptions mentioned here (music and sand texture). Included are 47 .obj 3d models, 41 .png/.tga/.psd images and 7 .wav sounds. If you're interested in the ongoing development of The Broadside Express, follow this thread.